It's nice to eat dinner alone. Perbacco has a large bar that makes eating as a single not too weird. I met a few nice people who were all alone: an Indian woman (who copied my order) a Southern lady, a guy from Seattle and a man who wanted to know where I got my glasses (Moscot) It didn't feel too lonely. The menu offers a pasta tasting shared by the whole table. I was worried that they wouldn't let me order that being alone, but they did. 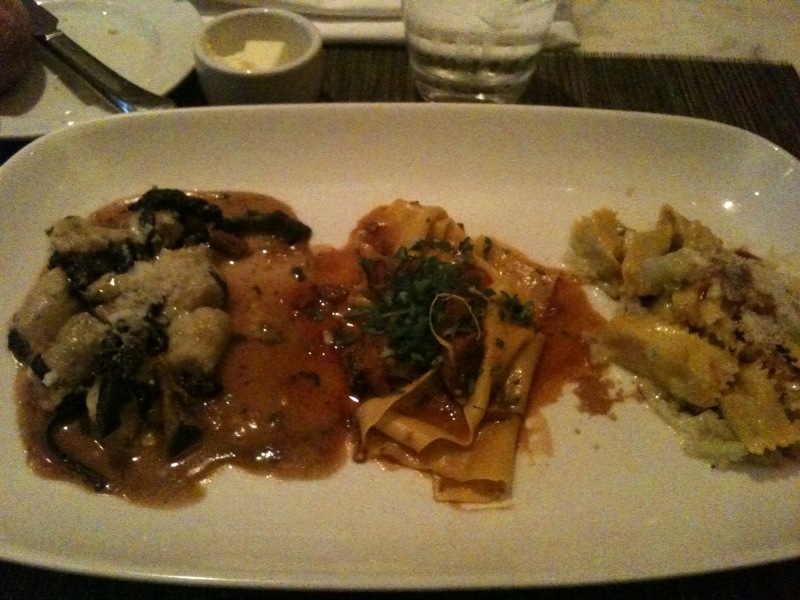 from left to right: ricotta gnocchi with mushrooms, papparadelle with veal ragu, agnolotti with veal and cabbage.